SWEDEN, What a week that was! Essential to have in your travelling kit – a quirky sense of humour! OF COURSE the minibus driver from Belgrade dropped me at the wrong hotel at Budapest airport! Sigh, do they never read things properly? OK, so both hotels start with the words Airport Hotel but the wrong one also stops with those words, the right one has several more words in its title AND I gave him the full address! 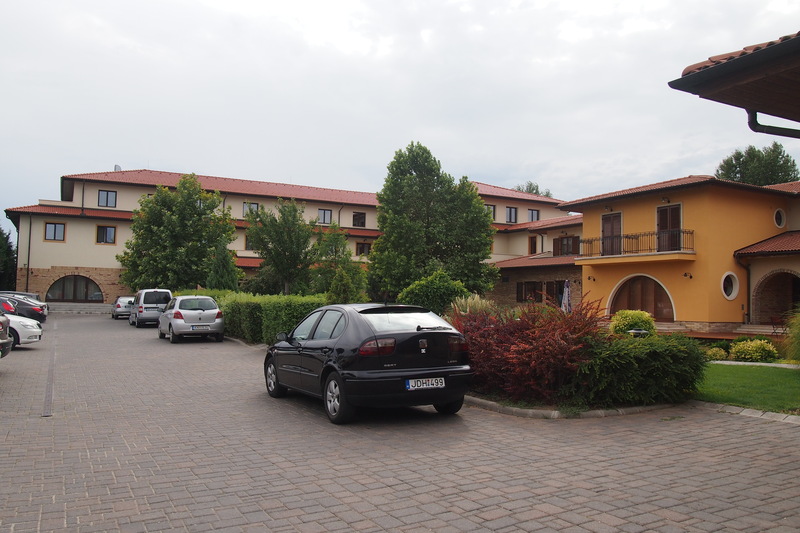 Oh well, at least this time I could get a cab and it only cost 5 Euros to get the wrong hotel to take me to the right hotel. So I had a quick shower and went off to explore the ‘Budapest Airport Hotel Stacio Wellness & Konferencia’ –(How can anyone get that wrong?) and see if I was really saving 412 Euros on the internet deal. A few words before I swing into my story. Those who have been following my blog know that mainly I am writing and hoping to inspire people of a ‘certain’ age (as well as anyone else of any age) to get out of their doors and go travelling solo (if they don’t have someone to travel with). The Sweden story is a bit different. 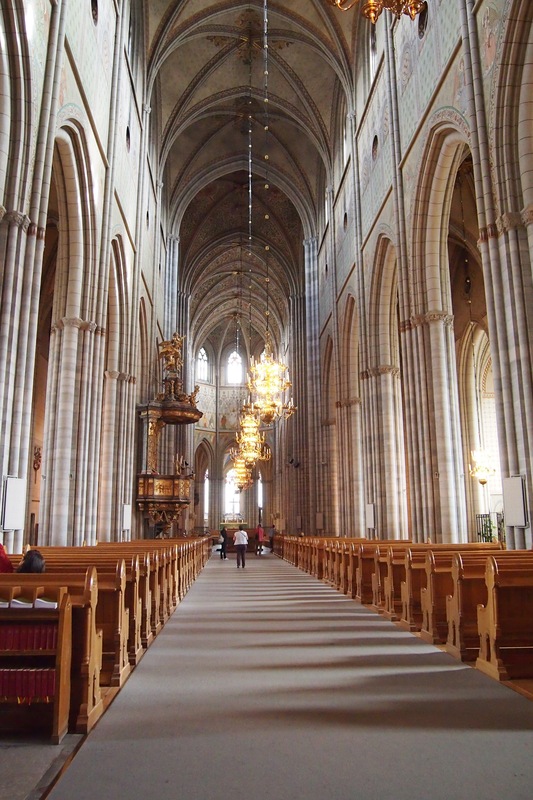 Like Poland where I had a friend to visit and who showed me around, I had friends in Sweden. Now I have many more friends in Sweden. Jen was a friend of my son Ginski in Sydney, we hit it off and stayed friends, Frida and Agnes I met at the Hedonist Hostel in Belgrade and also struck up a friendship. 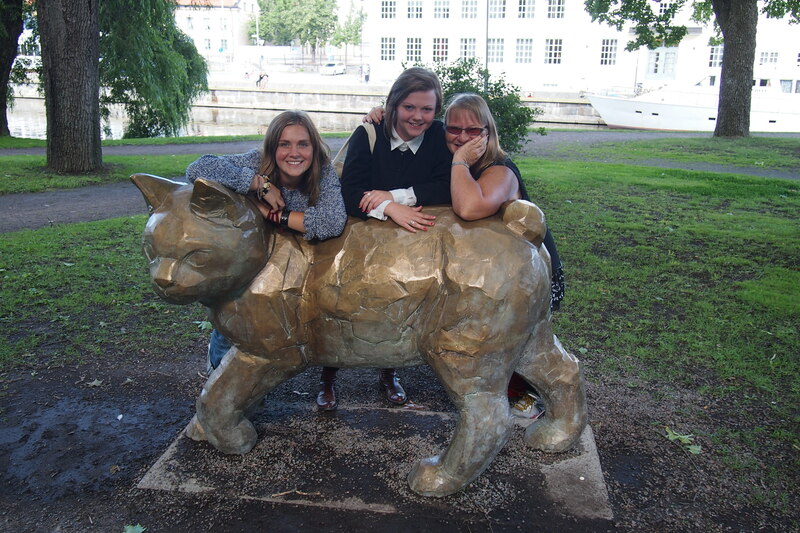 It is amazing how things work out, I was going to Uppsala to stay with Jen and wouldn’t you know it Frida and Agnes also lived there! 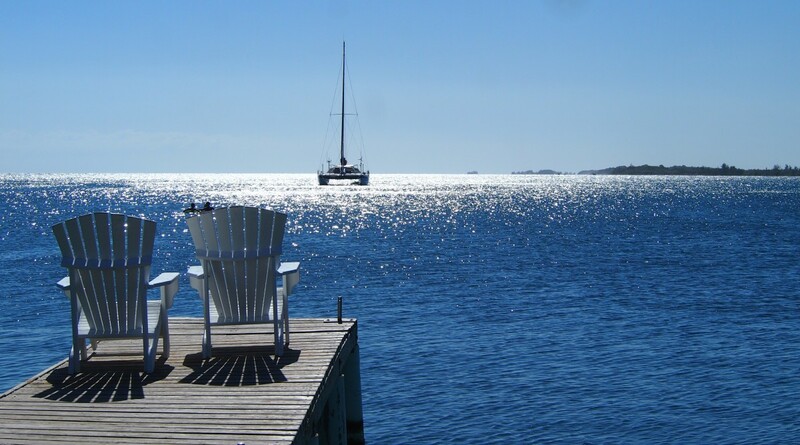 My point is that if you don’t want to travel totally solo, go visit some people. Those lucky enough to have friends in other places really need to make the effort. Having someone to show you around also gives you a different experience. 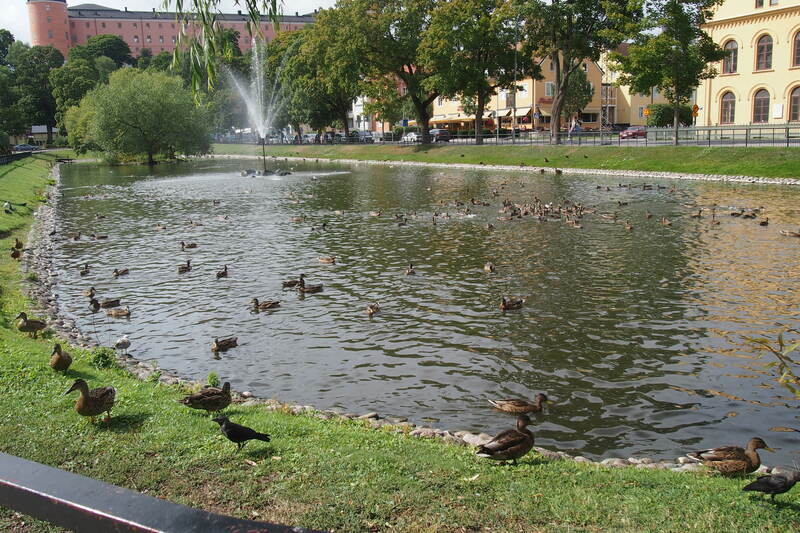 So it was Helloooo Uppsala! I arrived in Sweden, Land of the Vikings and crayfish, on Norwegian Air, a nice comfortable flight. Then to Jen’s place after the best train ride ever, from the airport. A very pleasant walk and lovely home made dinner with the Bermet spiced Serbian wine, and it was time to just chill – aahhhh! 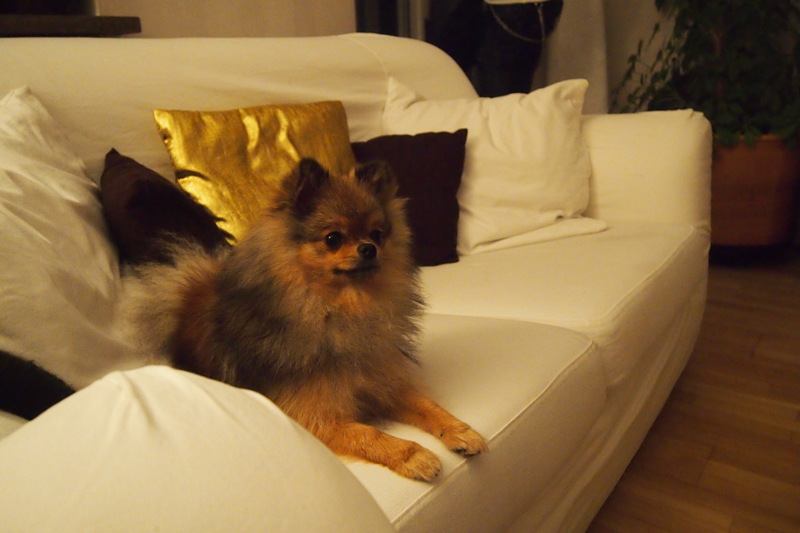 It was also the time to meet Bosse, Theresa’s (Jen’s sister’s) Pomeranian – oh what a character! There were to be many meetings with this little fellow. Food shopping was the name of the game before preparing for dinner, this is where I discovered the Swedish fetish not only for seafood but also for cheese. What an experience! 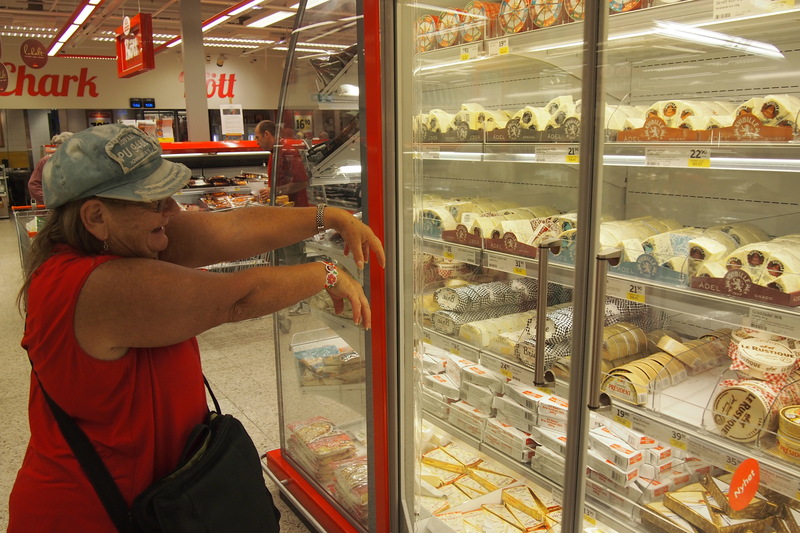 Walls of cheese of all sorts and sizes. I was in cheese heaven. Blocks of many kilo weights and finally my search for Jahlsberg was at an end! There it was! 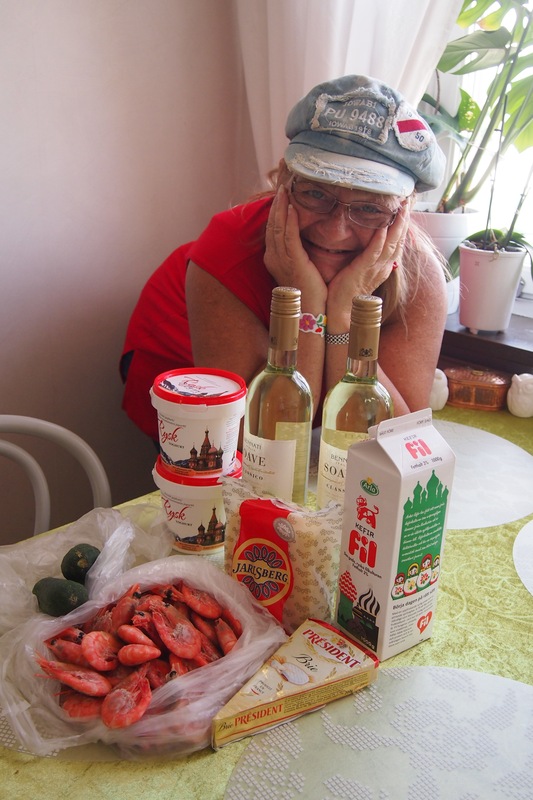 What more could you want, prawns, cheese and wine in Sweden. And so we move on to the evening. 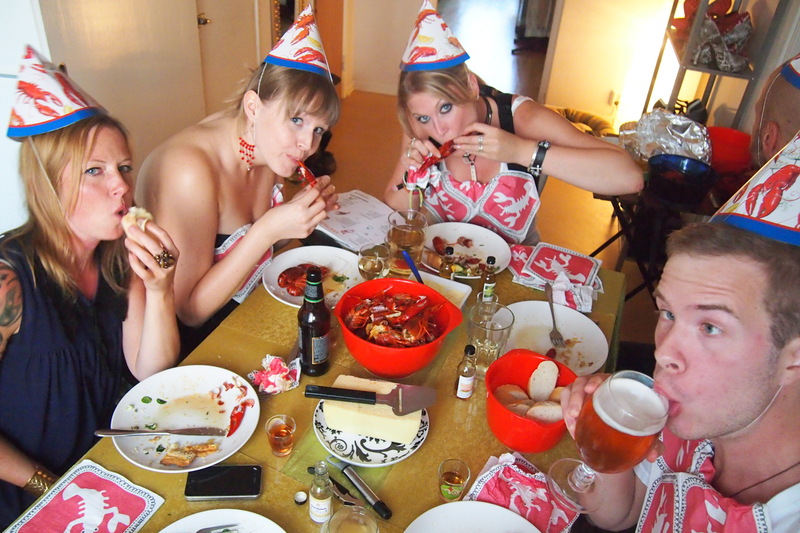 I knew that a Swedish crayfish party was being planned for my arrival but I had no idea what one of those was, well….. I soon found out! Family and friends arrived with food and drinks, kilos of crayfish were cooked and off we went. Crazy Swedish crayfish songs (somewhere there is still an embarrassing video of me singing a solo after someone gave me a song sheet and said ‘sing this’!) Now, I don’t know a word of Swedish (except for the Swedish chef on the Muppets) nor do I have a good singing voice – it’s more a foghorn. 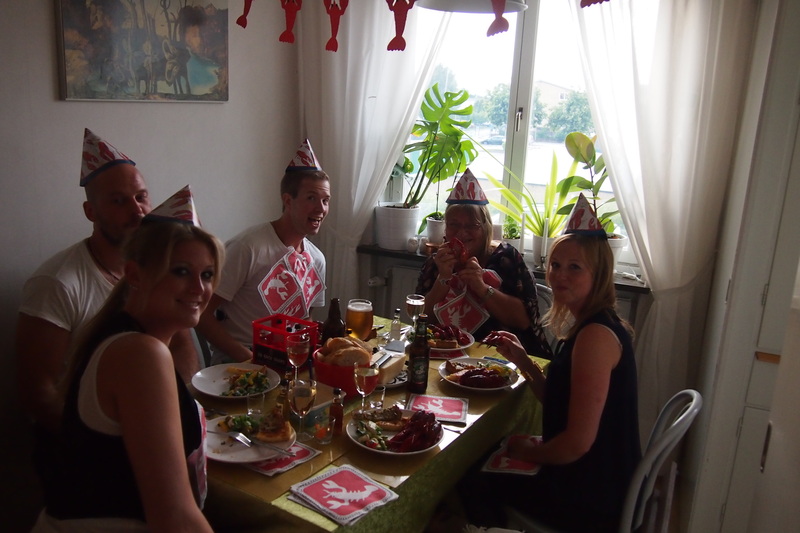 Somehow I got through and at the end was greeted by looks of amazement as my friends said they even understood a few words in my attempt – trust me travellers, go to a Swedish crayfish party in midsummer time, they are such fun! 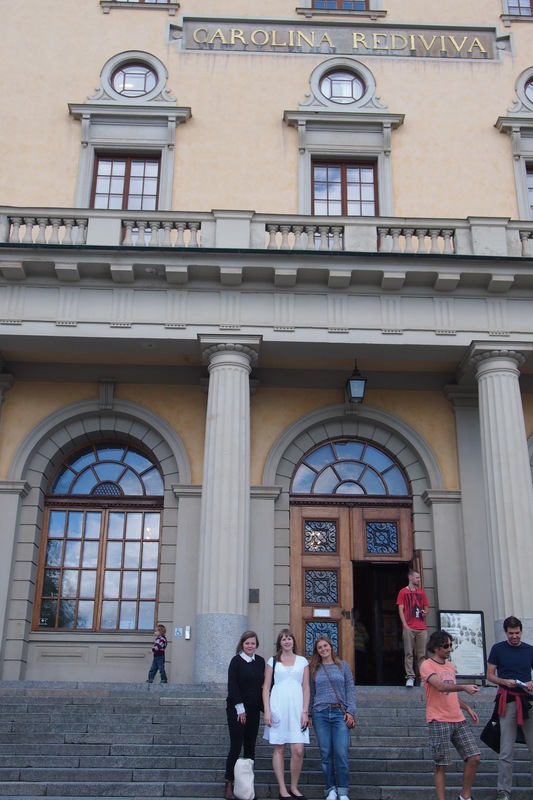 On top of that I found that this bunch of Swedes liked Gogol Bordello as much as I do! Who would have thought! So between the Crayfish party and Gogol Bordello songs the Swedes were winning the fun stakes. Thanks Jen and friends, and this was only day 2. 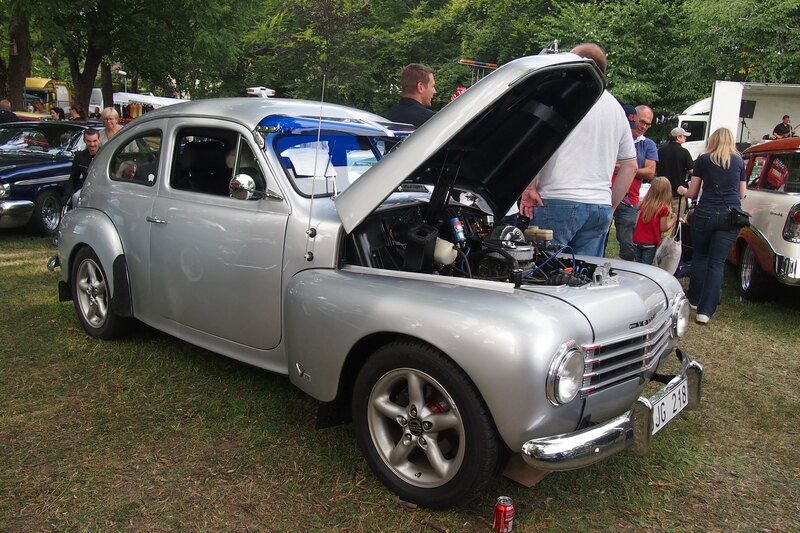 I was reading the in-flight magazine on my way to Sweden and discovered that many Swede’s are car freaks, just like friends back home. 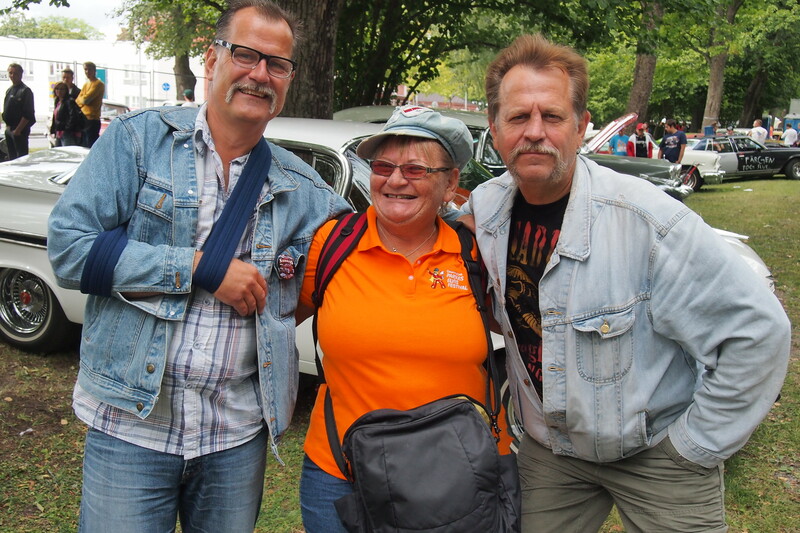 They own and drive American 50s and 60s cars and indulge in good old rockabilly music and clothes. 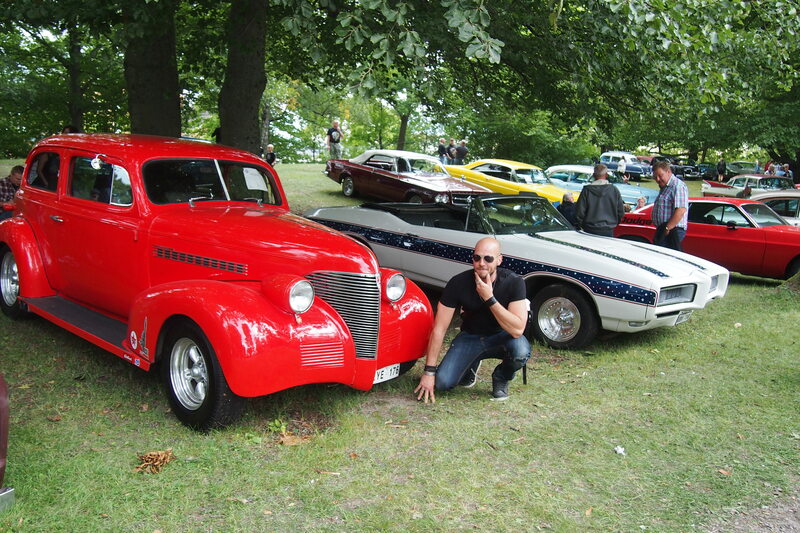 They are known as Raggare and they organise car shows all over the country, and that’s how day 3 was spent in Uppsala. 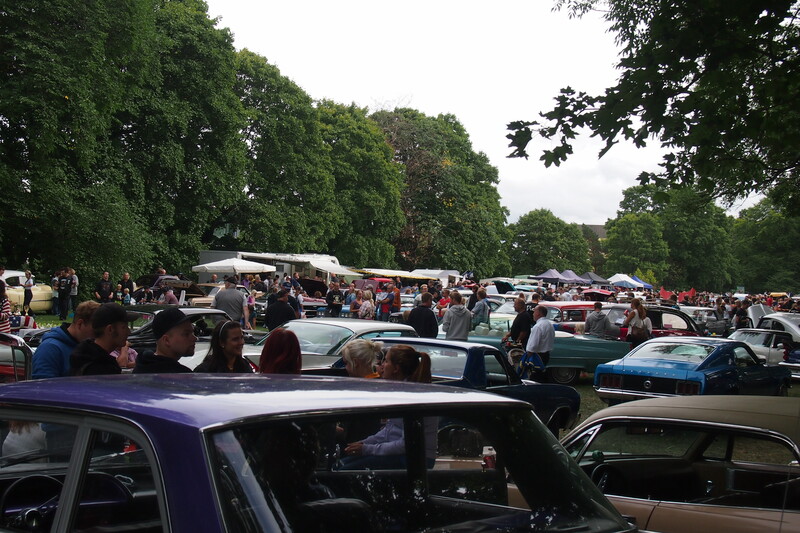 Loved the crowd, masses of cars very well presented and their owners obviously passionate about their steeds. 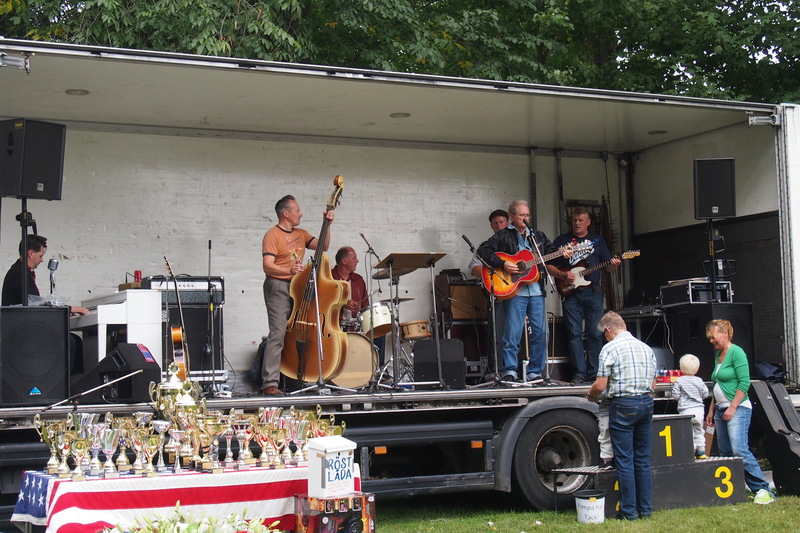 A live band pumping out rockabilly and stalls of the right fashions made for a very pleasant afternoon, thank you Swedes for liking the right sorts of cars. Of course, this meant that I met a whole lot more people including Jen’s Mum Yvonne. Later I also met other family members including gorgeous grandmother. 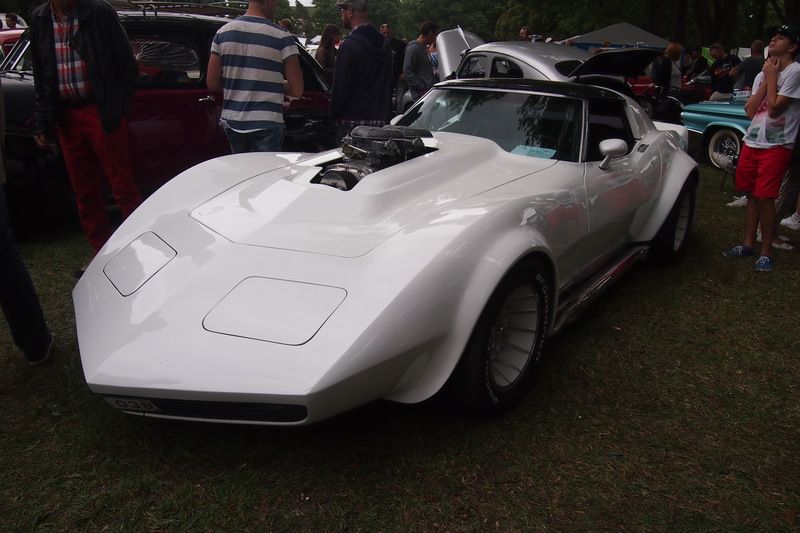 To quote Jen ‘So we survived the American car show. 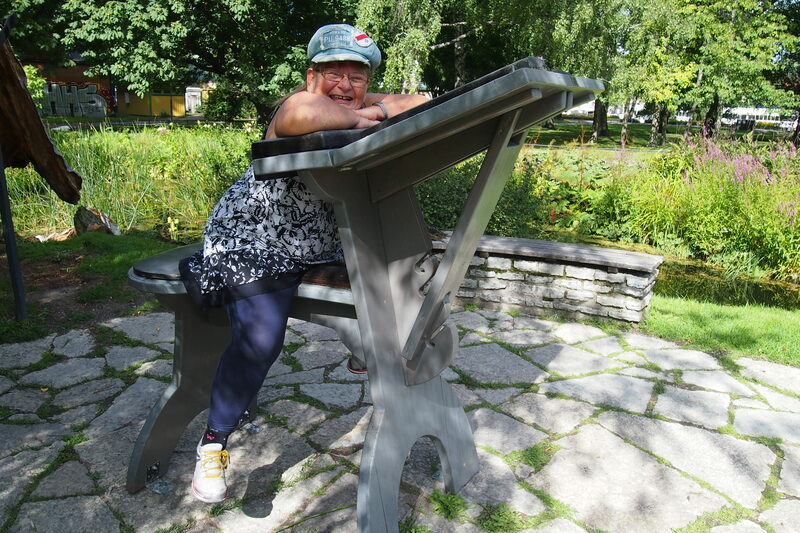 Cars, cars, cars, raggare, drunk raggare and then a quick visit to see my grandmother and my aunts. And my heart just melted when my grandmother told me to tell Helene to have a nice stay (my grandmother doesn’t speak english) at the same time as she was hugging her goodbye. My grandmother is the cutest’ Yes she is! 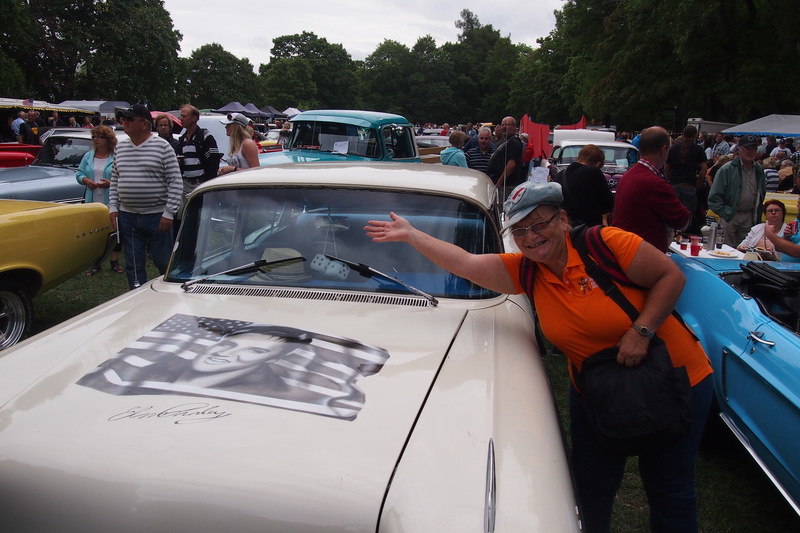 Sunday, chill day, after crayfish Friday, raggare Saturday, cars cars cars, rock and roll, masses of booze (oh that Fireball is a killer), lots of walking, meeting awesome new Swedes, Jen’s family and friends, especially Grandma, such a sweetheart. So this was the day to get around to cooking my rissoles and Ginski’s vegie recipe for dinner and taking life easy. 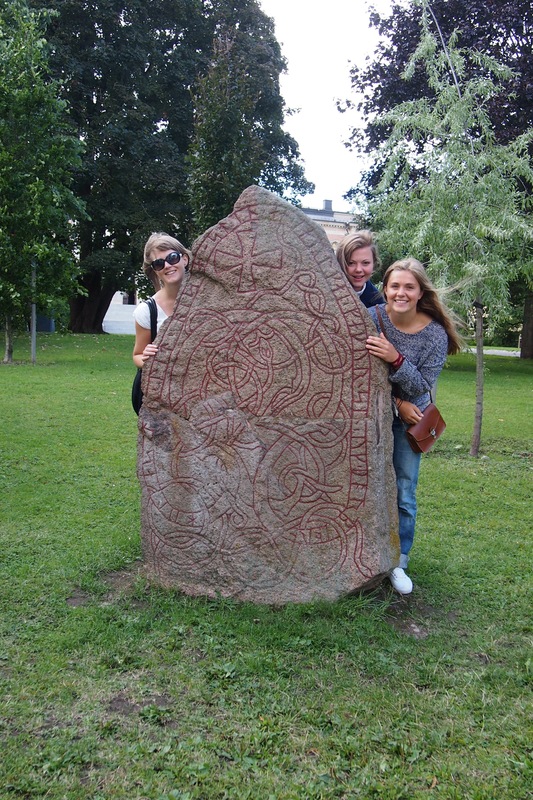 Massive day, Jen took me to just about every sight there is to see in Uppsala, we were joined by Frida and Agnes (the two lovely Uppsala girls I met in Belgrade) and off we went! 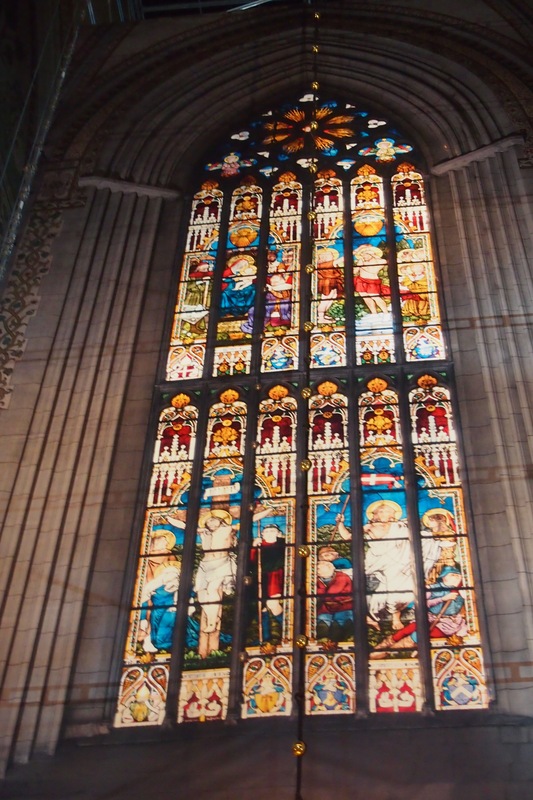 Oh boy, that was a week’s walking in one day but we managed to cover the largest Cathedral I’ve seen so far (it is huuuuuge!) 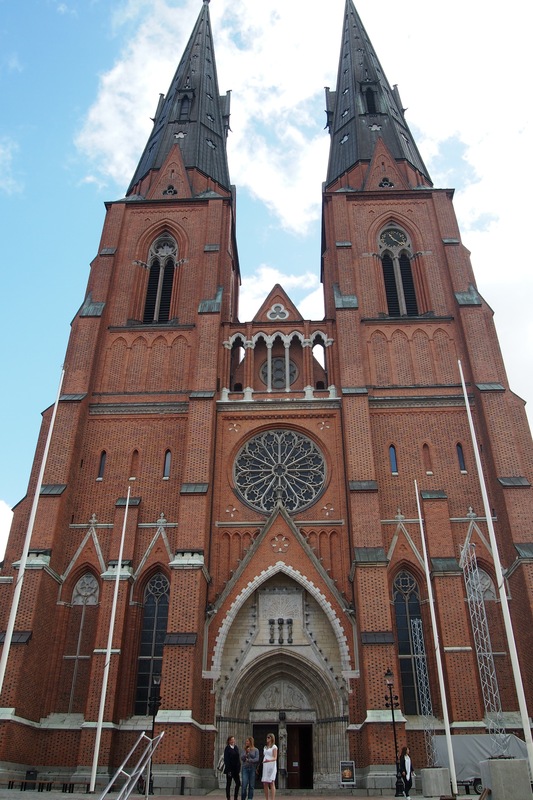 and if you stand in front of it and look up to the top of the spires it looks like it’s falling towards you – weird sensation. 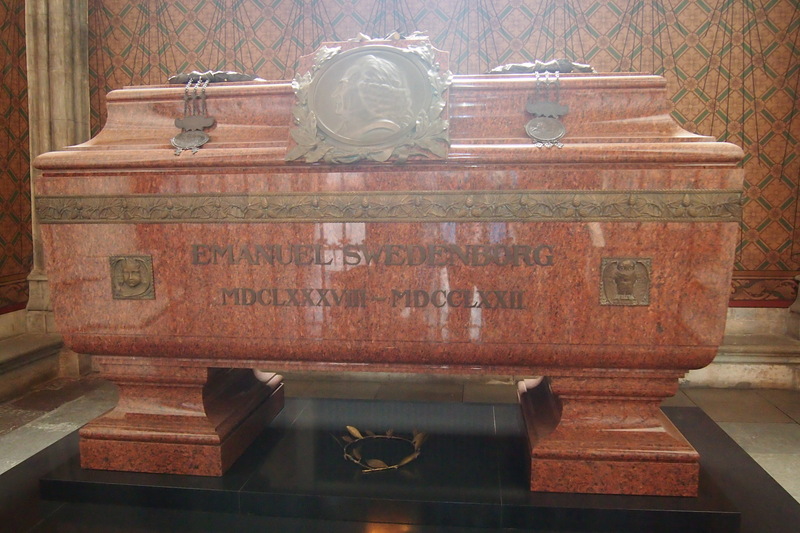 The cathedral has many notables interred there, just to mention a few; Emanuel Swedenborg, John III, Eric the Saint and Saint Bridget and many more. 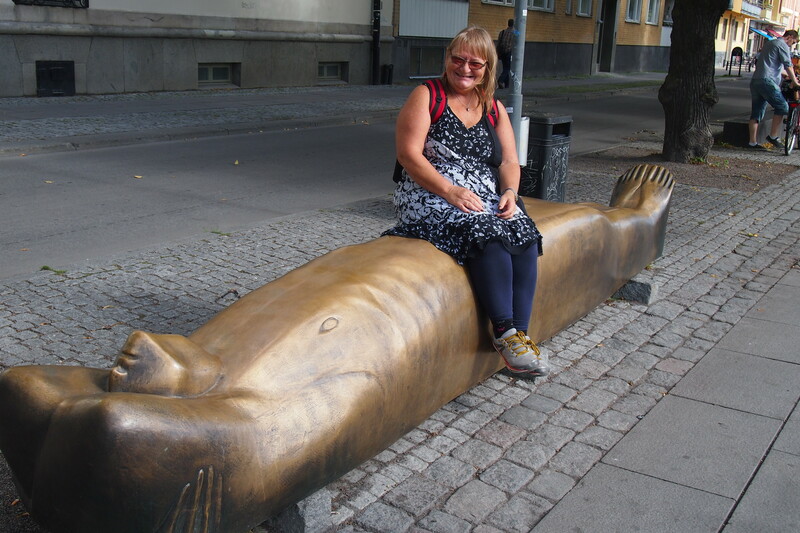 Then we were off to the castle, the library, parks, Botanic gardens, sitting by the pretty river Fyris, playing with and climbing on all sorts of sculptures including the Warm Man – seriously, in winter they heat the metal statue of a recumbent naked man so you can sit on him and warm up, only in Sweden! All that was followed by shopping and cafes Wow! It was nice doing what essentially was a Sunday stroll through the town, on a Monday. I have no idea how many kilometres we covered on foot but it was a lot and time and distance went by quickly with fun company, a very nice way to spend a Monday. 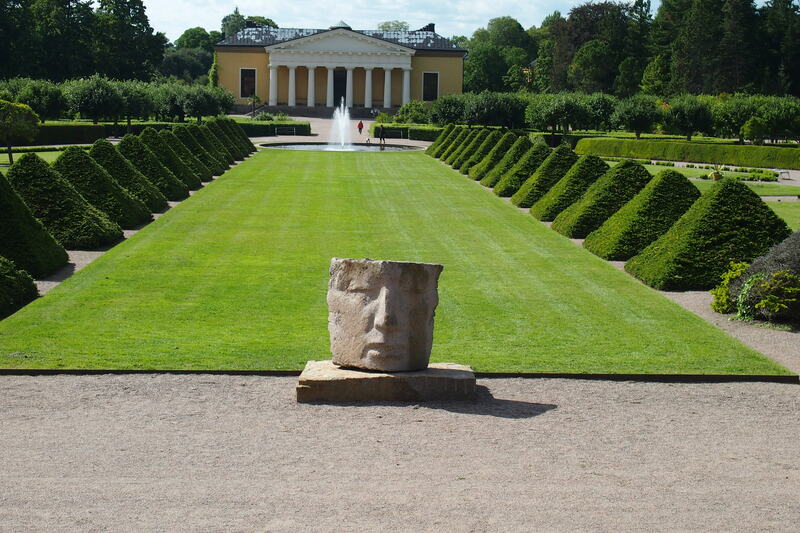 This was the day for the original capital of Sweden visit, Gamla Uppsala about 5 kilometres out of Uppsala. 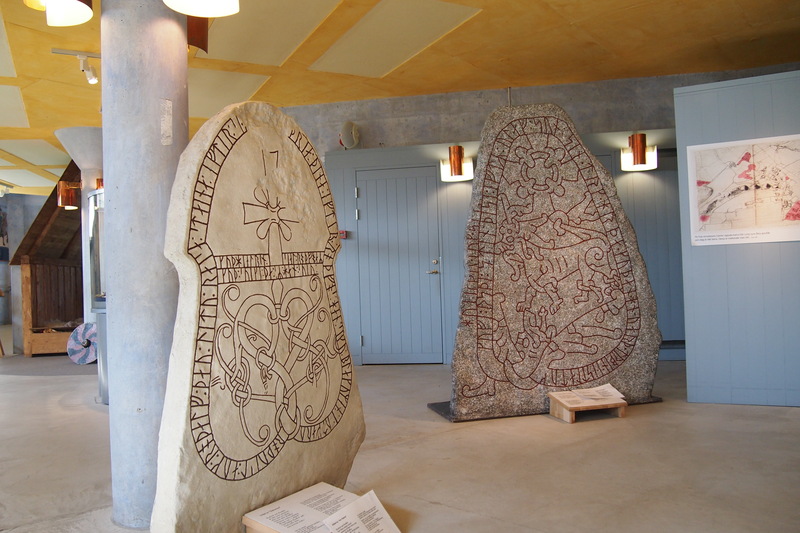 So much to learn, the displays were fascinating, everything from Viking paraphernalia, to costumes and jewellery, to boats, statues, explanations of the neighbouring burial mounds etc etc. Way too much to describe here, so you will just have to go and see for yourselves. which honoured Thor, Odin and Freyr. 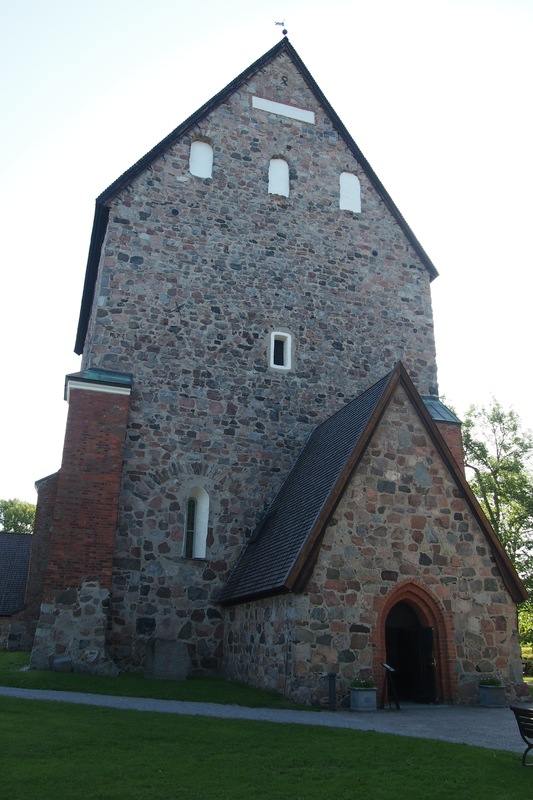 The church dates from the early 12th century. 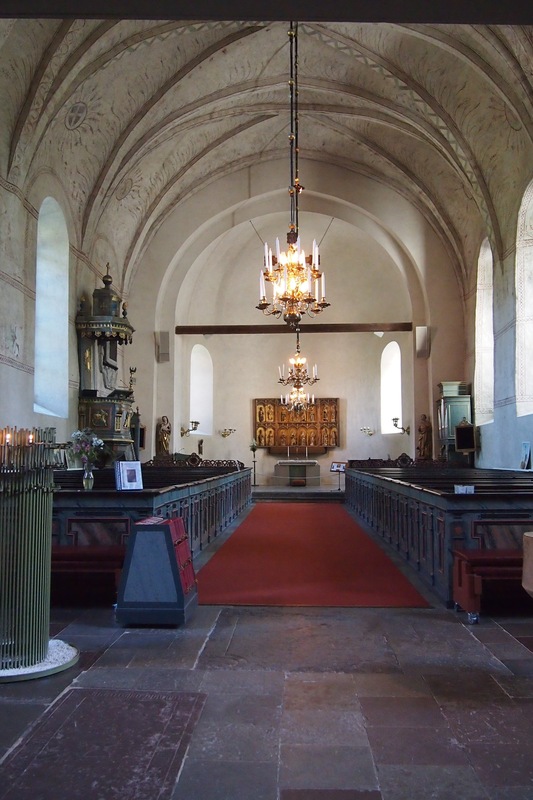 Unfortunately, the present church is only a shadow of the original cathedral due to past fires . 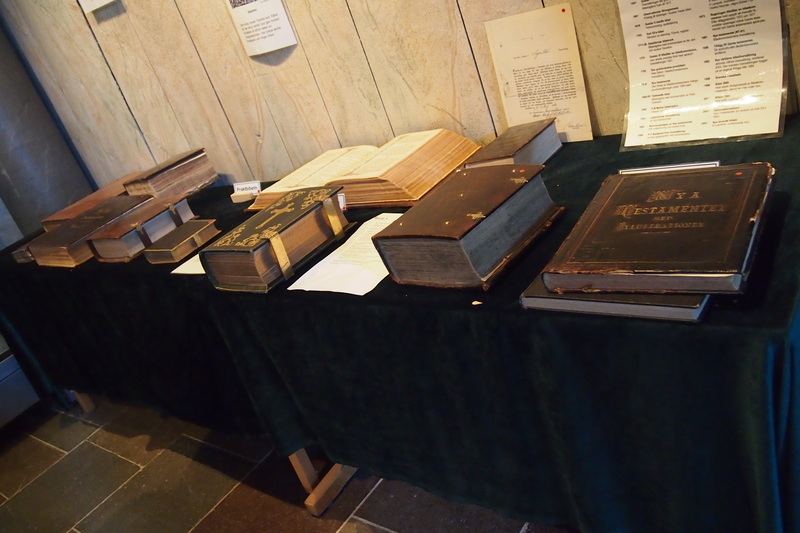 could have handled them, love such old books. 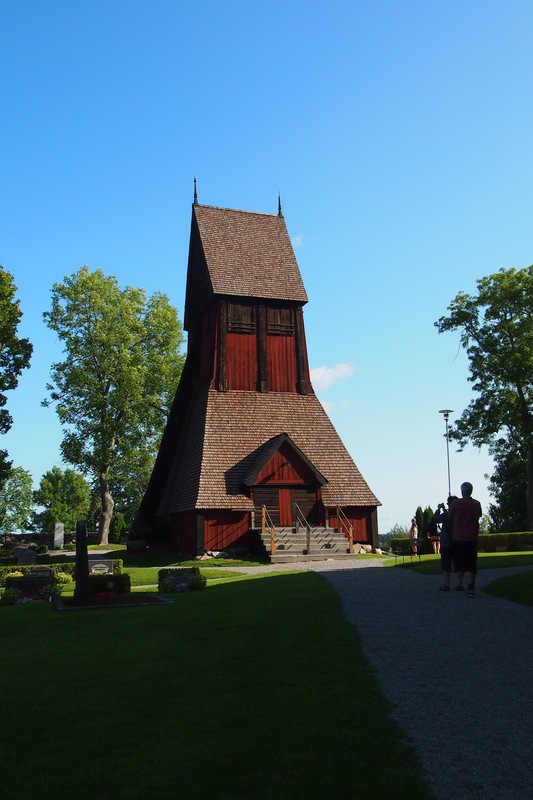 Near the church is its impressive red, wooden belfry. 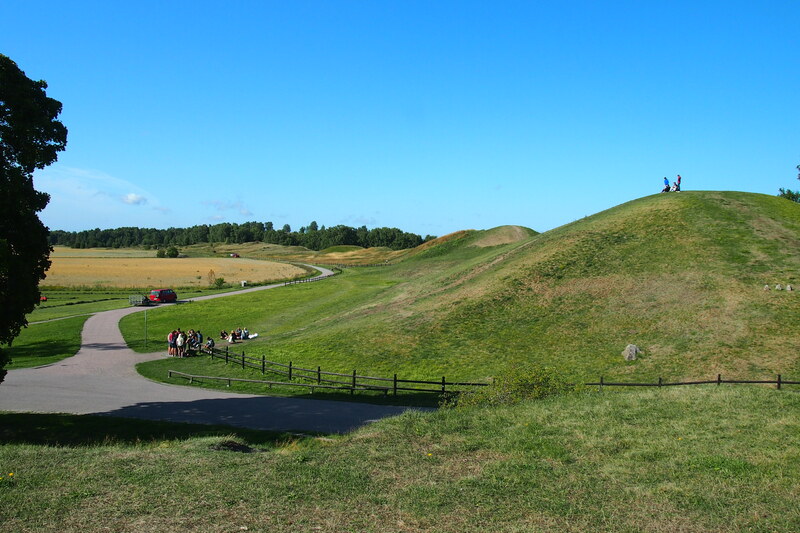 The Royal Burial Mounds (Kungshögarna) although they look just like any other hill, are very interesting. 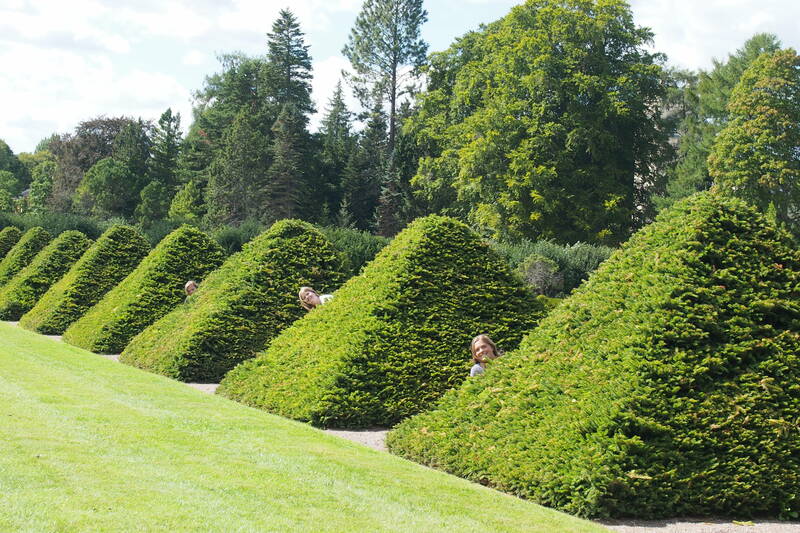 There are three large burial mounds dating from the 5th and 6th centuries. The Eastern Mound contained the grave of a woman (or a young man and a woman) with grave goods including carved bronze panels and a comb. A man was buried in the Western Mound, along with animals and luxurious weapons. I hope all the kings managed to get to Valhalla like they planned. There’s also an area where they have found remnants of buildings from the Iron Age and possibly earlier as well. I didn’t realise that this place is so old. If you go for a walk there are many other mounds to make you wonder, the area dates back several thousand years. 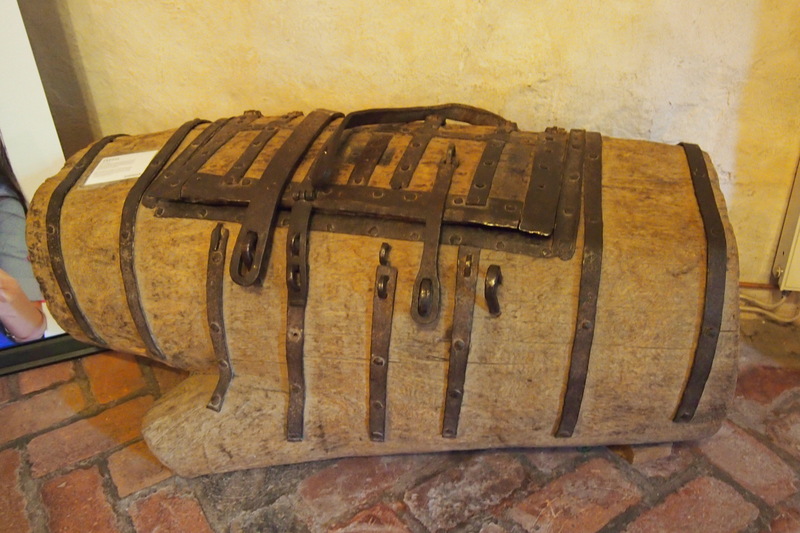 A chest made from one piece of oak, 7 people had a lock each. Probably used to hold the church silver. 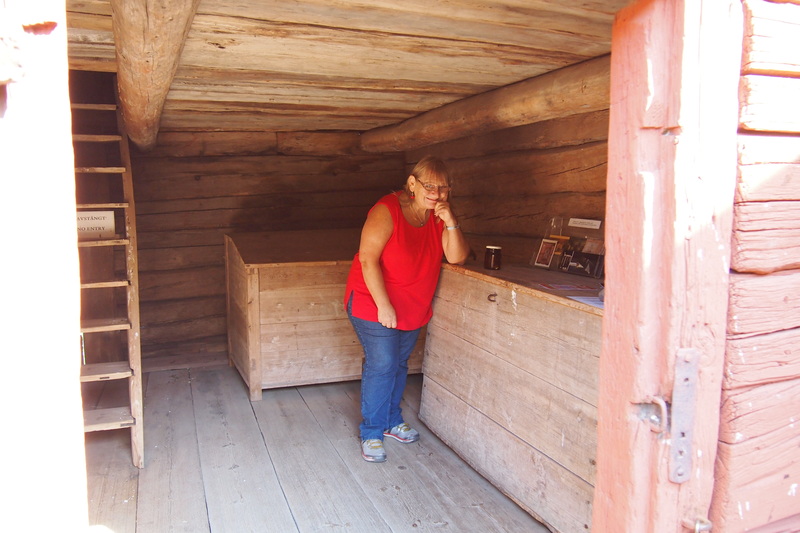 This is a working farm set up the way a farm would have been in the 1800s. 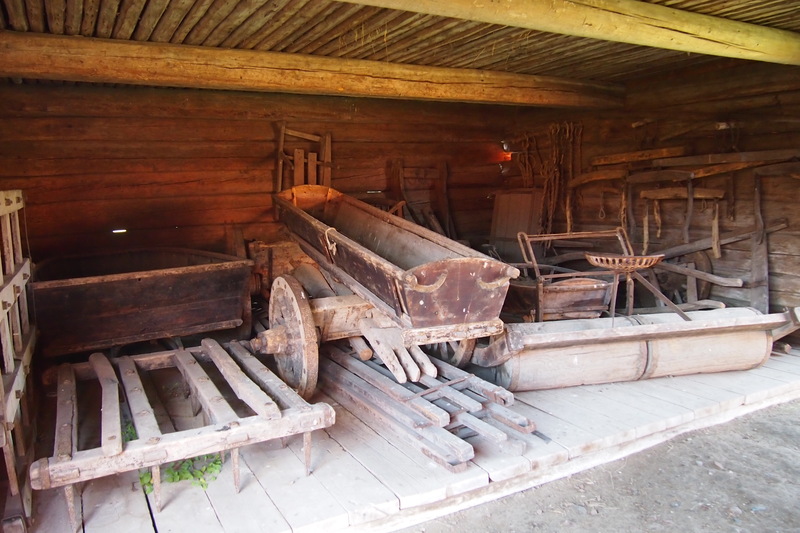 Essentially it is an open air museum where you can see how a farm and village would have looked and worked in the Uppland region. 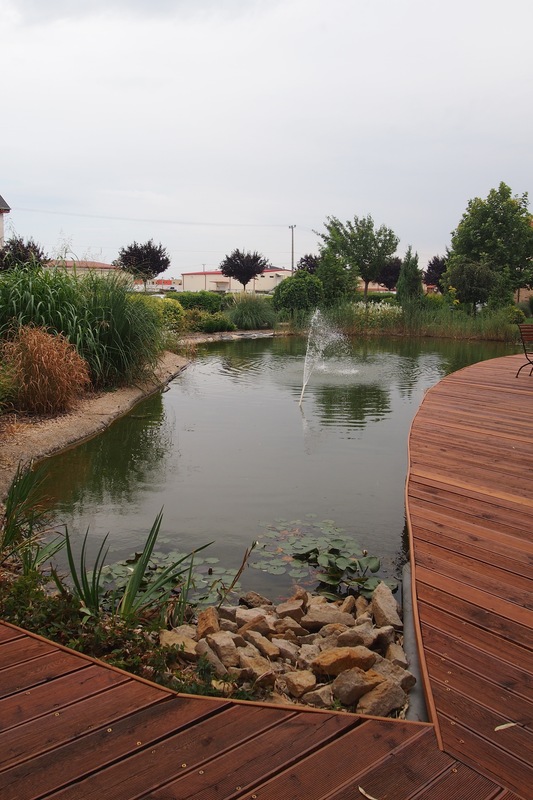 They grow grain, vegetables and fruit and tend various animals mainly native breeds. A fascinating place to visit. 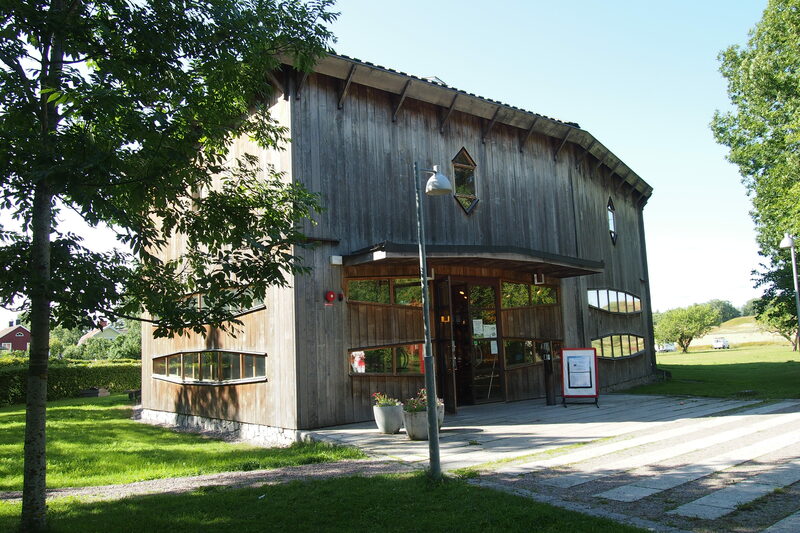 The estate is owned by Upplandsmuseet (Uppland County Museum). 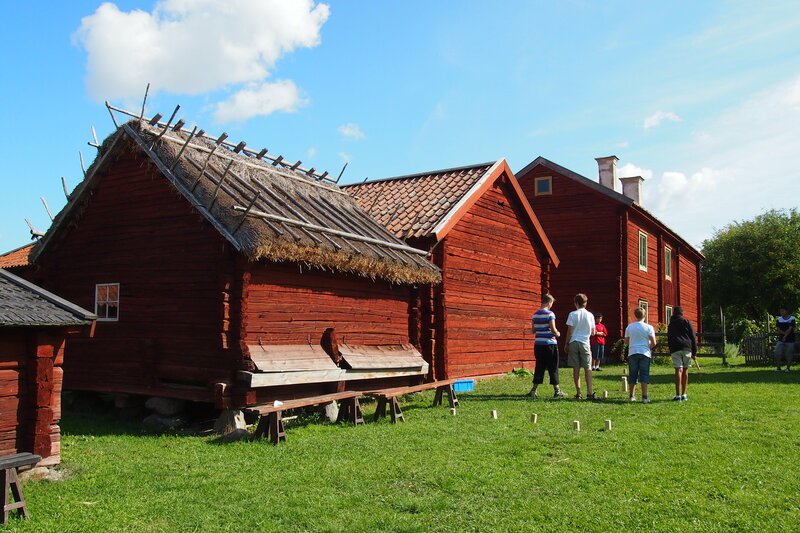 It was fun wandering around discovering all sorts of things like old wooden farm implements and a group of boys playing a traditional Swedish game. I was amazed how much we covered in a short space of time. 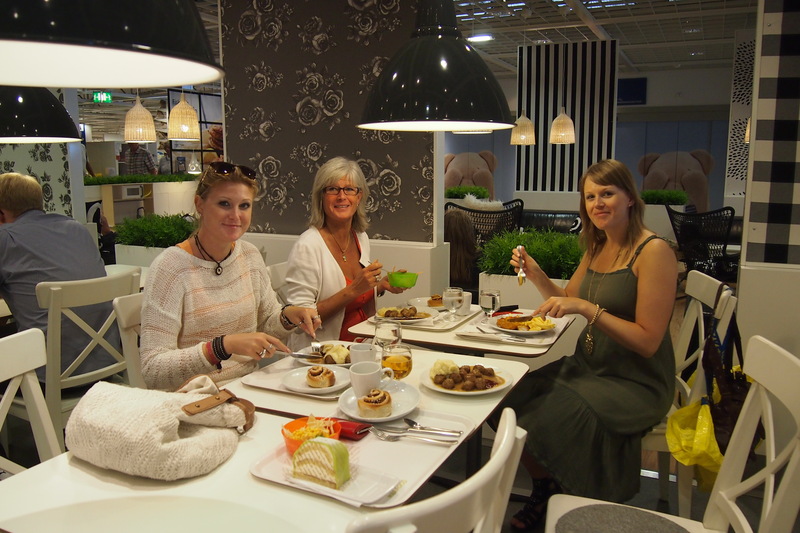 It was lunch time so the decision was made that the most Swedish thing to do was to have meatballs at Ikea. I’ve never been to Ikea anywhere so a lunch of Swedish meatballs and mash was it. Thank you Yvonne for driving us around and showing me places that otherwise we could not have got to easily. self, write an arriving song! because every time I leave one place I arrive in another). So yes folks it was time to move on again. It took me a full day of trying to figure out where to go next as well as when and how. 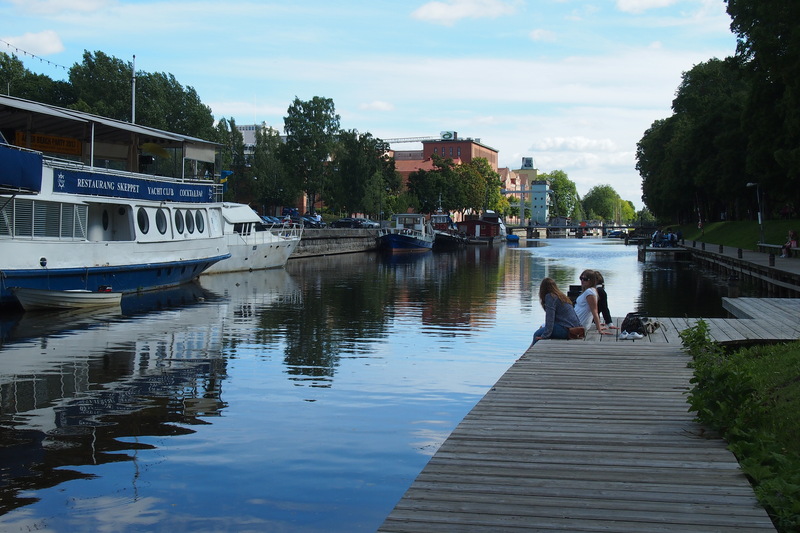 Originally I was going to go to Stockholm and then on a cruise to St Petersburg (you can go there for up to 72 hours without a visa now, under certain conditions) but that was all too hard, it wasn’t falling into place. I had promised myself, at the beginning of the trip, to follow my intuition and if things seemed too hard then it would mean that it wasn’t the best idea, so, I reluctantly swapped St Petersburg for Santorini (of course I would choose almost the furthest place away from Uppsala to visit next!). 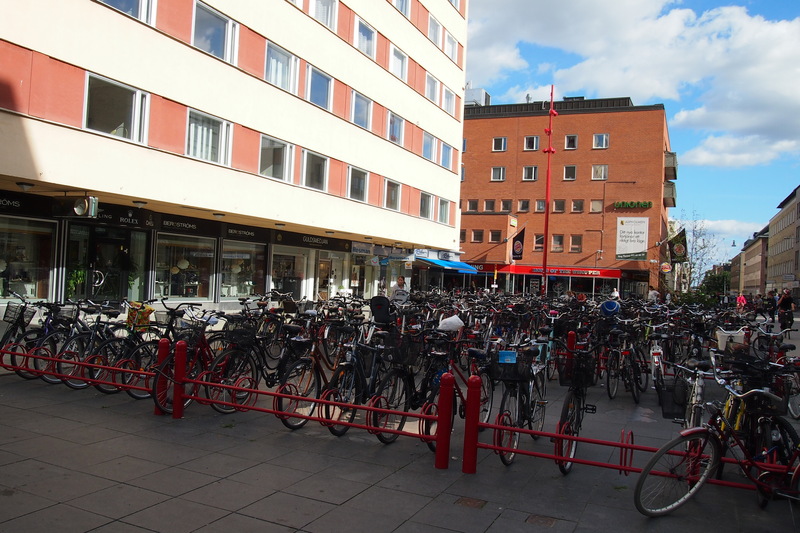 However, everything quickly fell into place, first stop Copenhagen, although last minute accommodation was a little tricky (it’s a popular place!). 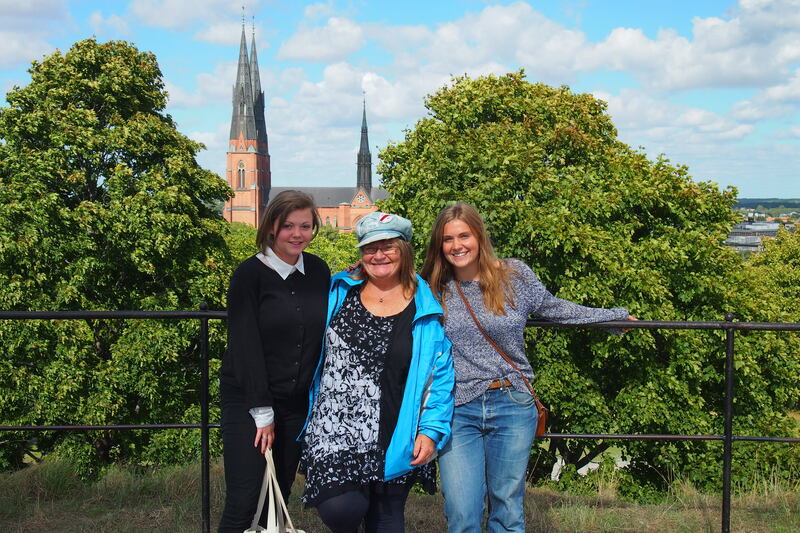 So it was farewell to Uppsala, lovely town, farewell and a million thanks to Jen for looking after me (it’s so good having a Swedish ‘daughter’) and farewell and thank you to Therese and Yvonne for your friendship and taking me around places, introducing me to people and I can’t forget Bosse (even though you barked at me) you are still sooooo cute! So it was look out Copenhagen, I was finally going to get the chance to make a goose of myself and sing (or is that croak) ‘Wonderful, Wonderful Copenhagen’ in Copenhagen, somewhere, and scare everyone! Maybe! 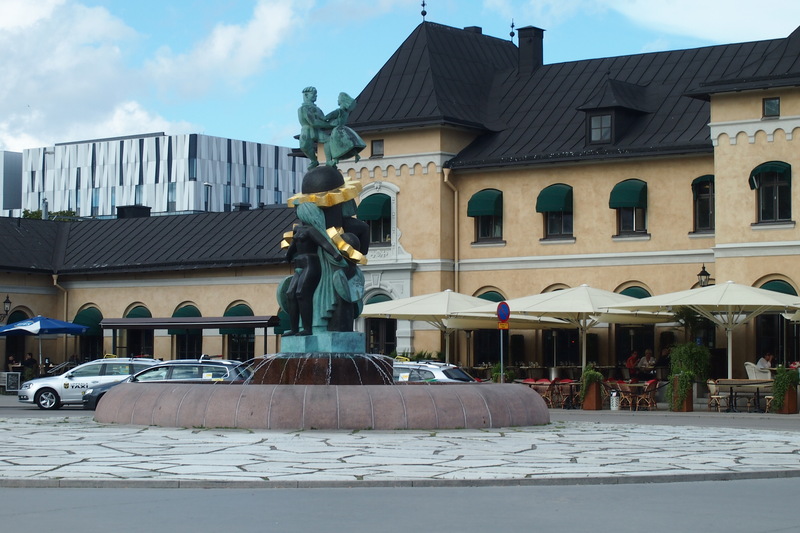 Näckens polska statues and fountain in front of Uppsala Central railway station. I have finally added you to my list of wordpress pages that I follow. I enjoy reading about your adventures except for one little problem…it gives me itchy feet. Mine too!Welcome aboard. I’m sure it will be for real again very soon.